Are you bartending this St. Patrick's Day? 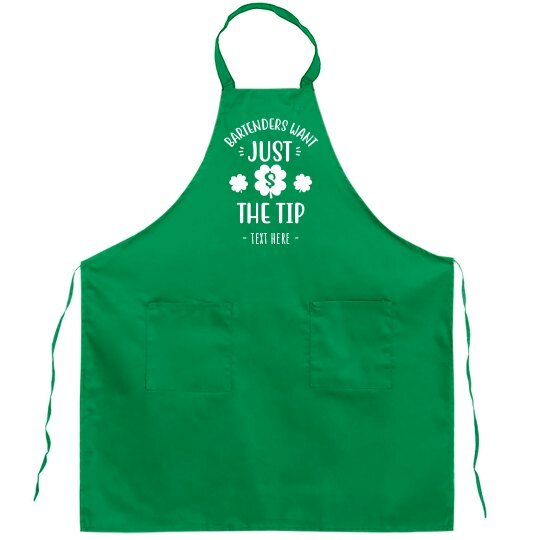 If so, gear up with a funny and festive green apron. We know all you bartenders want are some tips, so rock this hilarious apron to let your customers know it's time to cough up the dough.